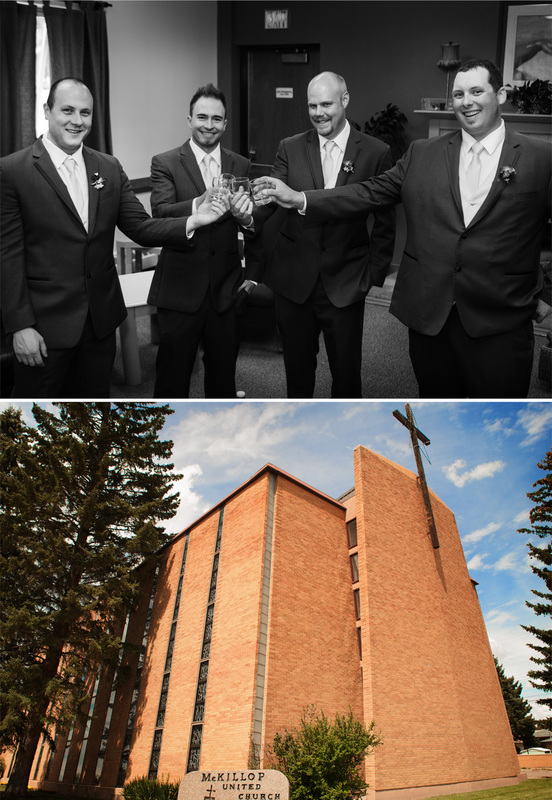 The city of Lethbridge truly has some amazing and beautiful background settings, especially if you know where to look! 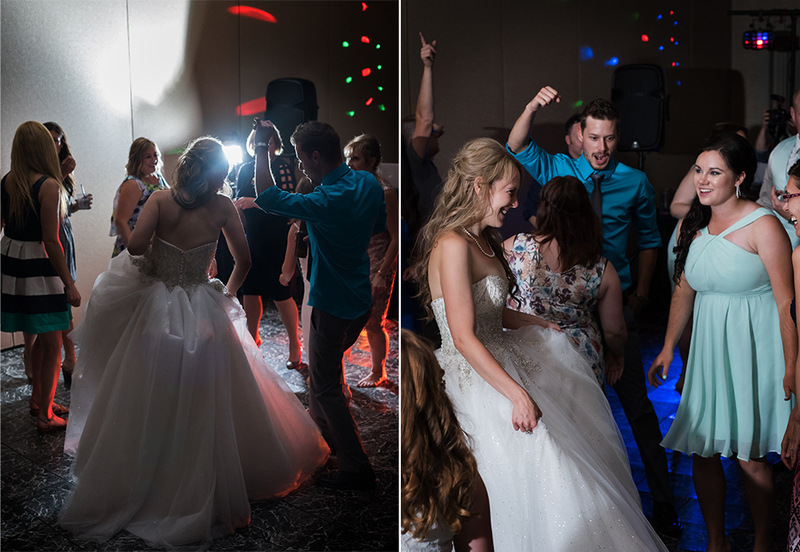 I think I fell in love with Lethbridge all over again with some of these shots from Bret & Kelsey’s wedding. And as much as I adore travelling, I love even more to come home to my southern Alberta home! How blessed I am to live in this area, and will admit (guilty) of taking it for granted. 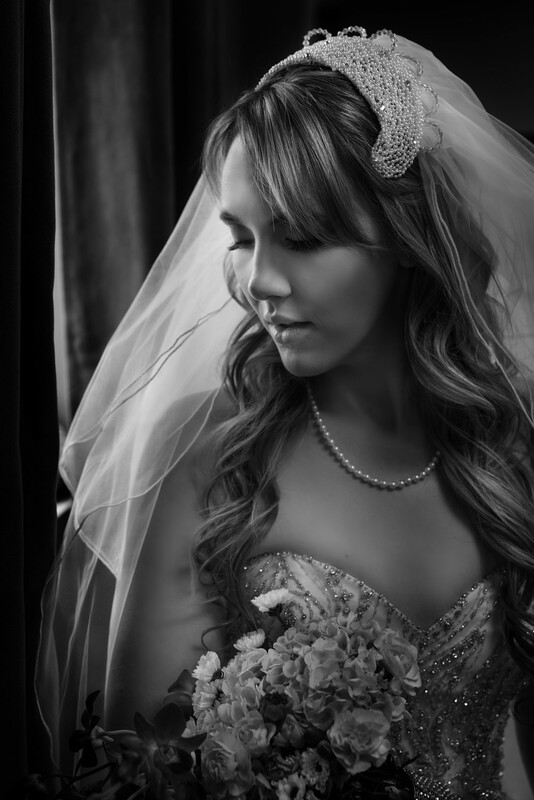 Finding perfect locations for a particular wedding, depends on how much time we are given and also on the wedding couple! 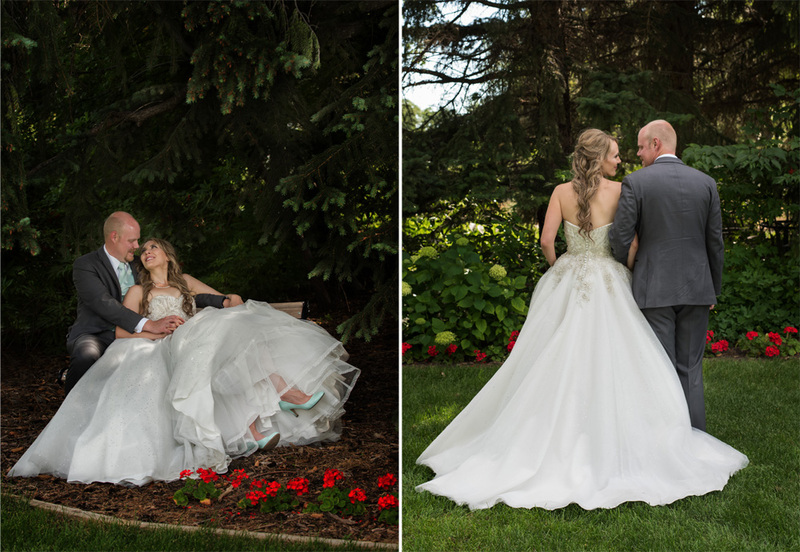 We shoot in Lethbridge often, and no two wedding couples or weddings are the same. Sometimes the best shots come when they are not planned! 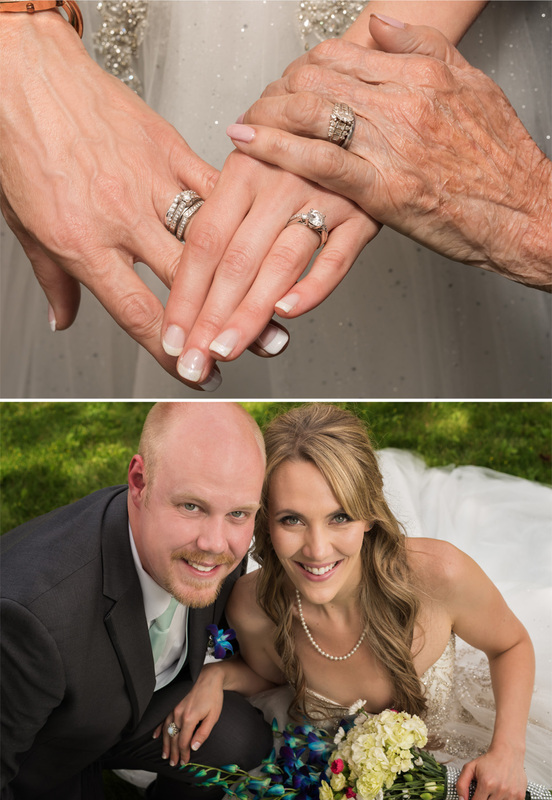 We felt honoured to have captured some beautiful images from Bret & Kelsey’s special day together. 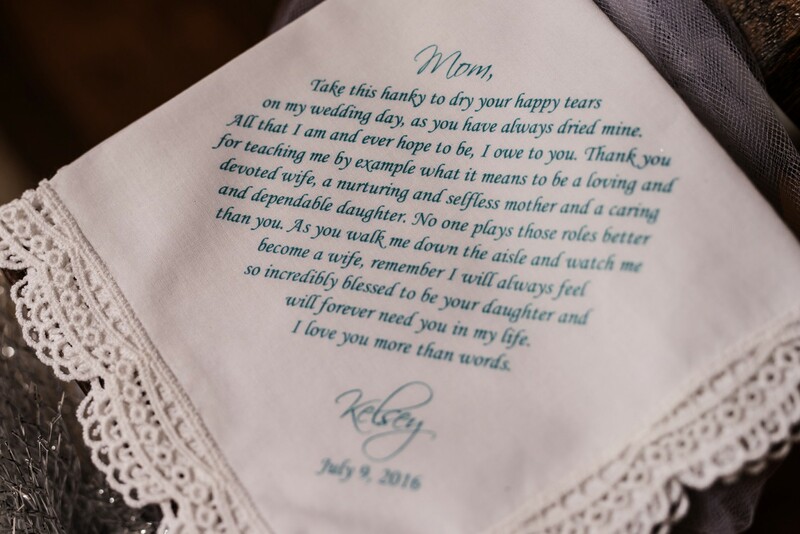 They both had embroidered handkerchiefs made for their parents, and Kelsey even wore her mom’s veil down the aisle. 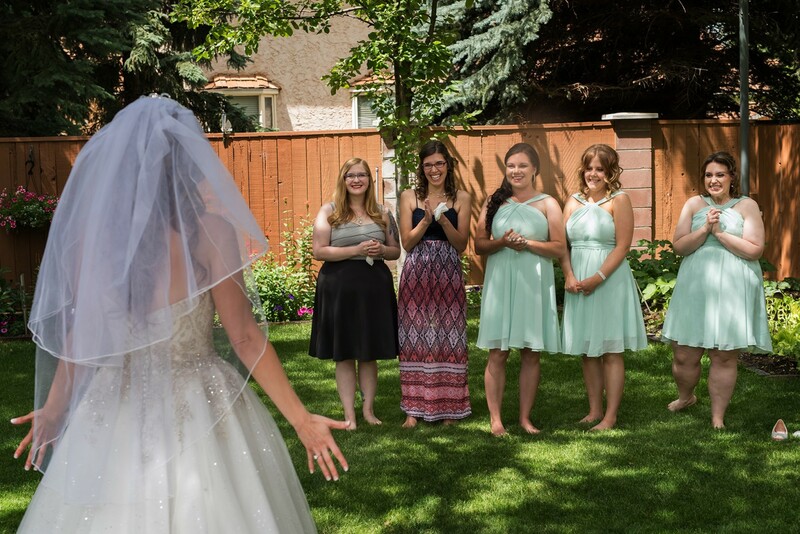 Her dress reminded us of a fairytale, so with the common Lethbridge wind, and many failed attempts at trying to fix hair…we decided to work with the wind instead of trying to fight with it. As soon as we did that, everything was so much easier and just seemed to click (ha ha, no pun intended)! 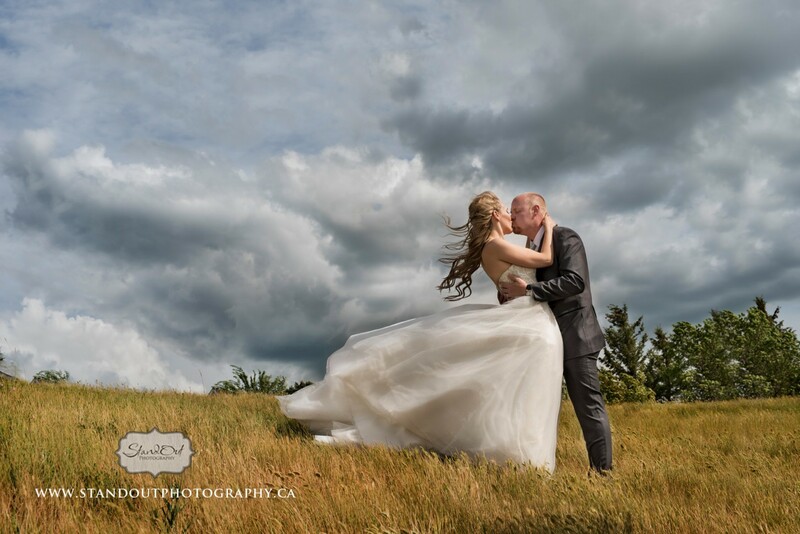 We captured her dress in the wind on the coulee with some gorgeous clouds in the back. 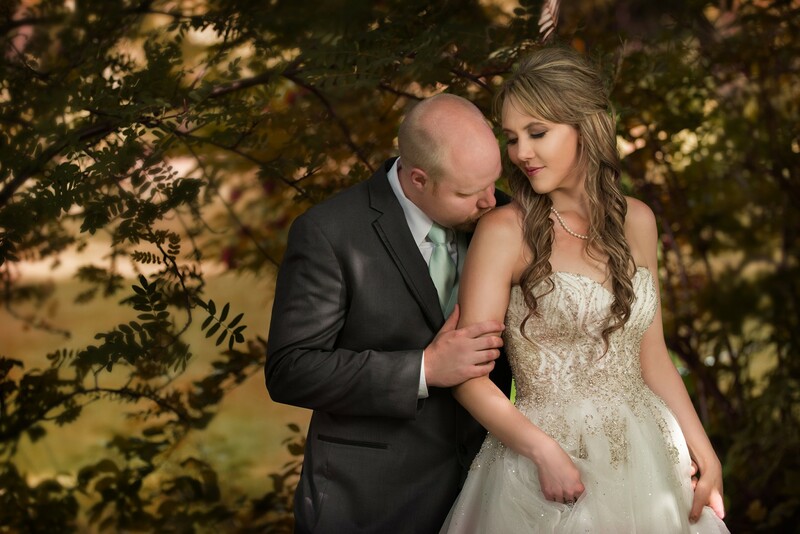 What a stunning couple! 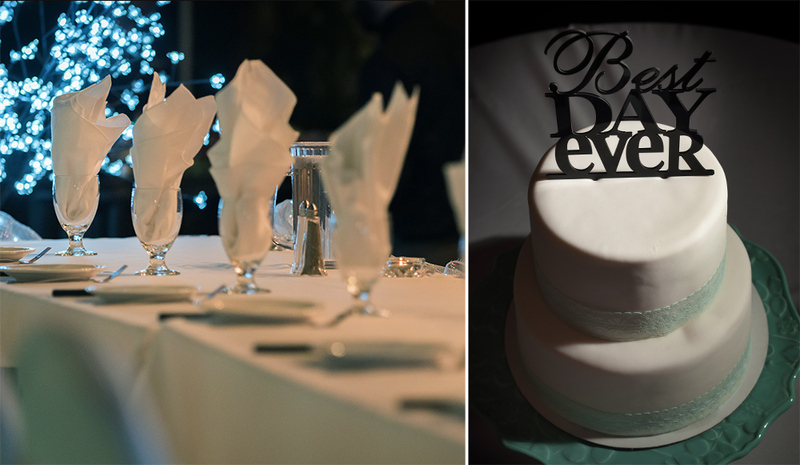 We could definitely feel the excitement throughout the day and that continued on right through to the reception held at the Coast Hotel & Convention Centre. 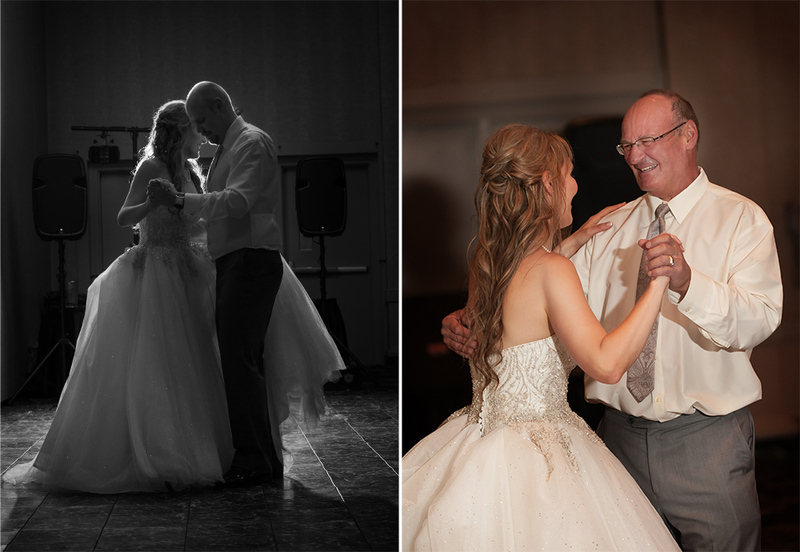 Everyone had so much fun and we truly loved working with this couple and their friends and family. 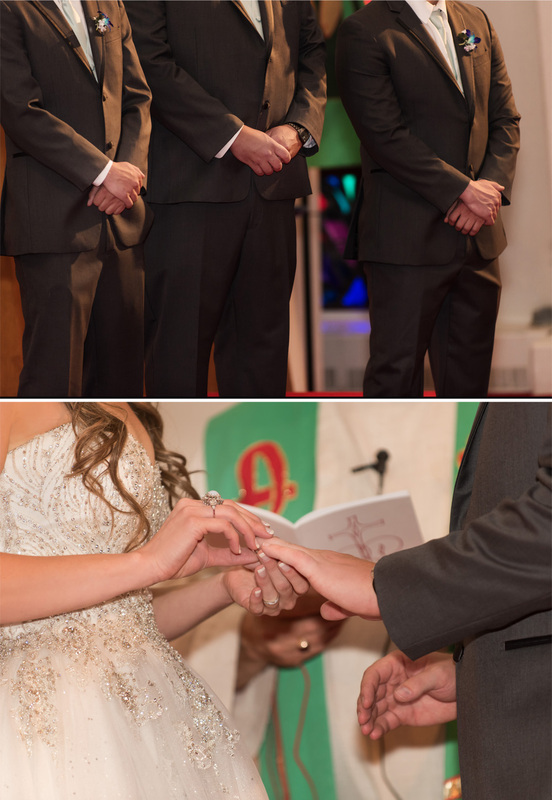 Congratulations Bret & Kelsey, and we wish you both all the best! Thank you to all those visiting our brand new blog and leaving your comments! Always greatly appreciated! 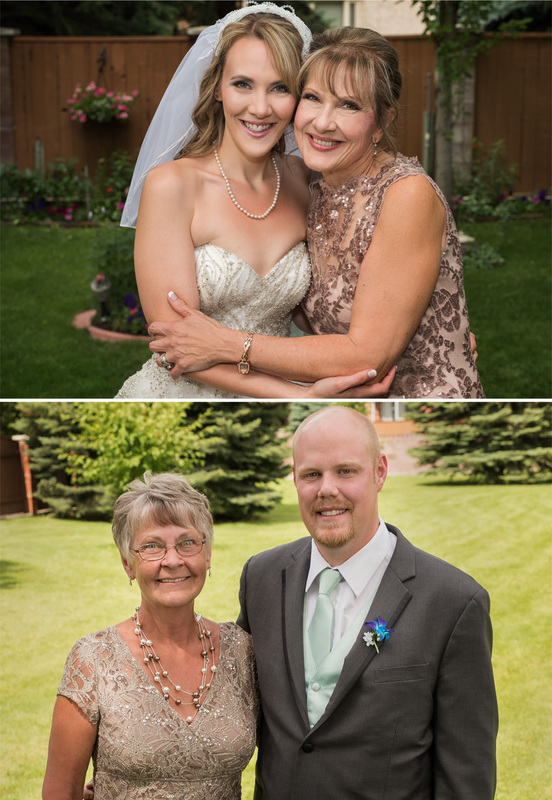 Beautiful, absolutely beautiful pictures! 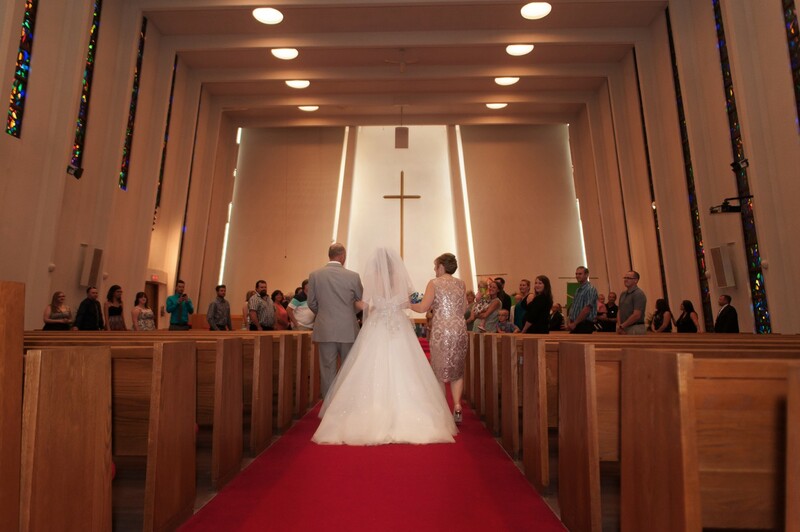 A wonderful day for the celebration of marriage for Kelsey and Brett! 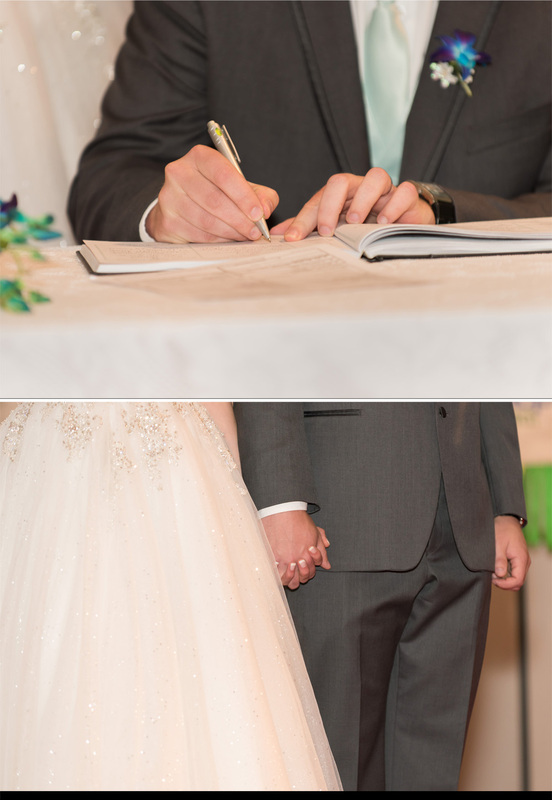 We thoroughly enjoyed browsing thru the pictures. Jackie, you are awesome with your photography talent. 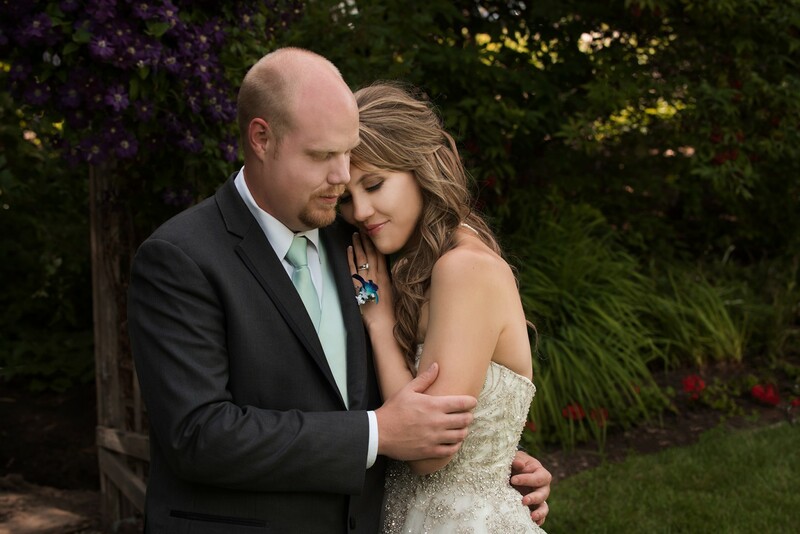 The pictures of our daughter and son -in-law are breathtaking. We will cherish those special pictures of our family and friends. 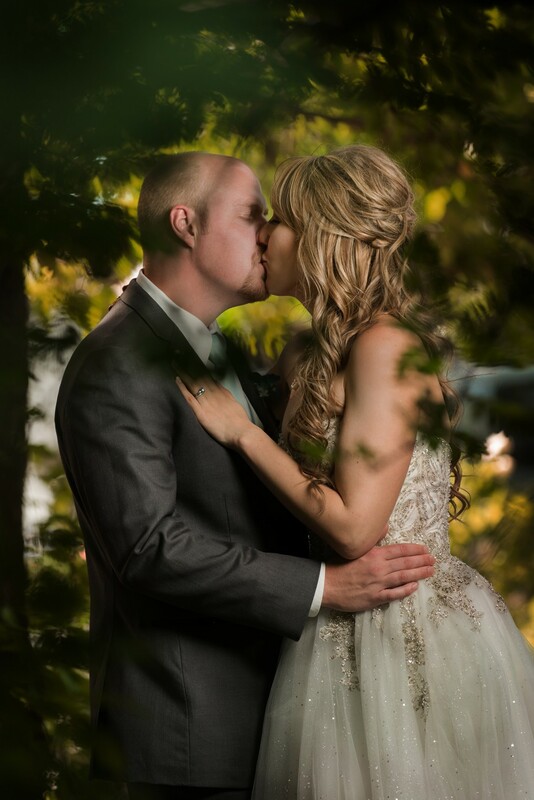 Thank you for being part of Kelsey and Bret’s special day. Thank you so much Wayne & Cindy. We thoroughly enjoyed everyone we worked with, and appreciate your wonderful comments! 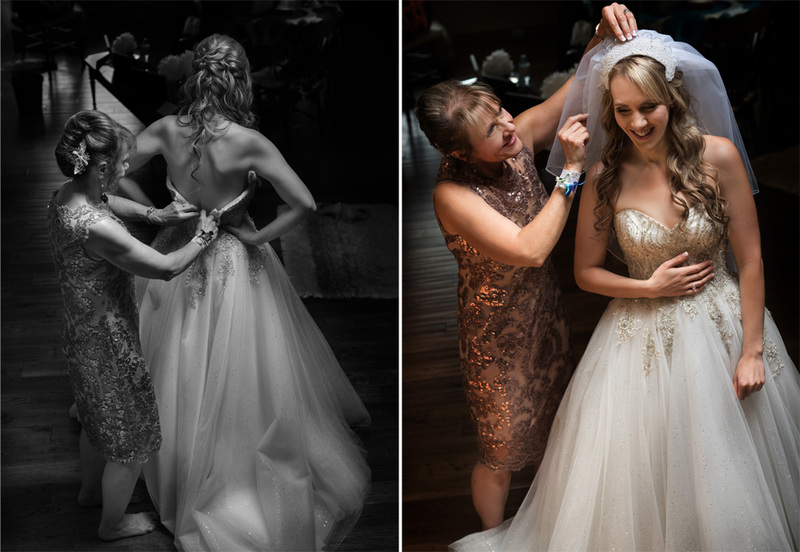 All the photos are just beautiful!! It was an awesome day!! God bless you & keep you happy & safe….